When you write something, anything, chances are you've written too much. Most of us have the tendency to say more than is needed. Sometimes those extra words are unnecessary; other times they may be just enough to undo what we've already written. A few extra words can change things. Case in point, this homemade sign inside a shop door in my neighborhood. As I started to read it, I thought it was so nice that they were reminding folks to feed the meter. Thank you very much, Mr. Shop Keeper. I appreciate that! But then they lost me on the next two lines. They almost felt like a threat and a little righteous. Saying "Did You Remember to Feed Your Meter" was enough. It was helpful. Adding "58 Dollars or 25 Cents? You Make the Choice" just wasn't necessary and it kind of rubbed me the wrong way. In this case, less would have been more. The next time you go to write that blog post, report, advertising piece, press release, or anything else that you intend to put in front of the public, ask yourself, "Is there anything here that I should cut?" Have you already said it? Did you drone on passed your logical ending? Do you need those extra words or would it be tighter and clearer without them? Self-editing can be hard, but take the time to do it. Your writing will be the better for it. Have you heard that quote before? I love it. It's a great reminder for all of us to concentrate on the good stuff in life. But how does that apply to business? I'm glad you asked. 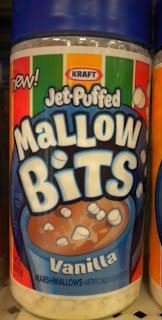 My new, edible addiction is Mallow Bits by Kraft. Have you tried them? 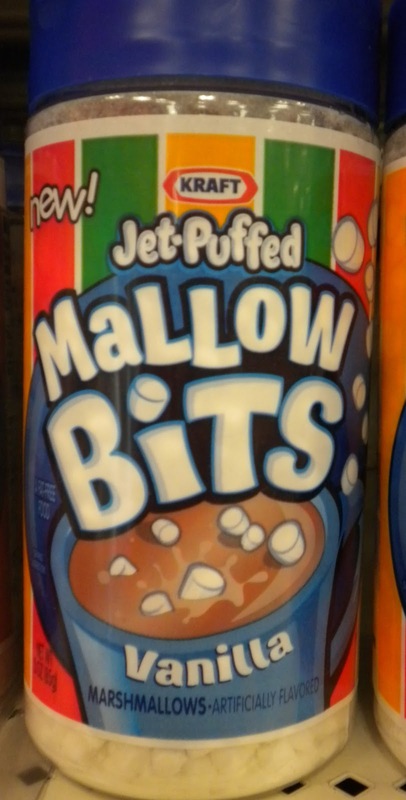 They're hard, little marshmallows--the same texture of the ones you find in hot chocolate mix and sugary cereals. I have to admit, I like to pull those marshmallows out of the cocoa envelope before I make it so I can gobble down the crunchy goodness. When I leave them in the mix, I always wish there were more. Someone at Kraft must know I'm not the only one, because they've produced a large jar comprised of nothing but these yummy, white nuggets. They put the good stuff all together in one, new product. Can you do the same? What service or product do you offer that you could repackage or market more prominently? Do you have a b-list product? Or maybe a service that doesn't get very much dedicated promotion? Do you have something that people really like that you could upgrade from supporting player status to superstar? Is there a Mallow Bits on your menu of services or line of products? Listen to what your customers and clients like. Can you give them more of it?